Disclosure: The dress in the post was provided to me as part of the Aventura ambassador program, but all thoughts are 100% my own. Even though it may seem like I never wear the same outfit twice, I do not have an unlimited wardrobe, so I use accessories to change up a basic piece into several outfits. 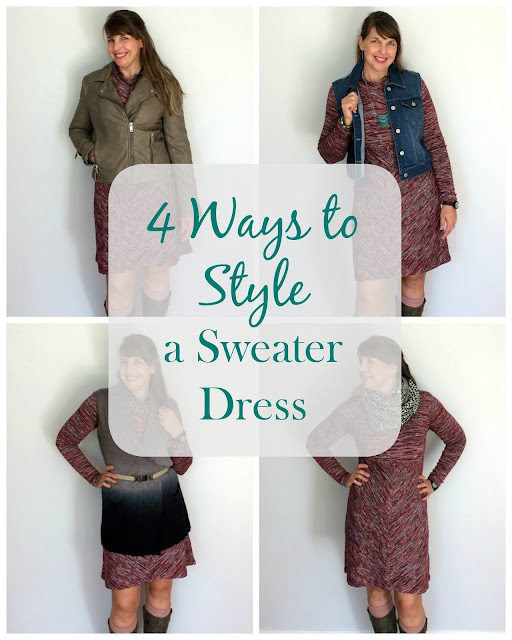 A sweater dress is a must have for fall and winter, so I am sharing four ways to style it. 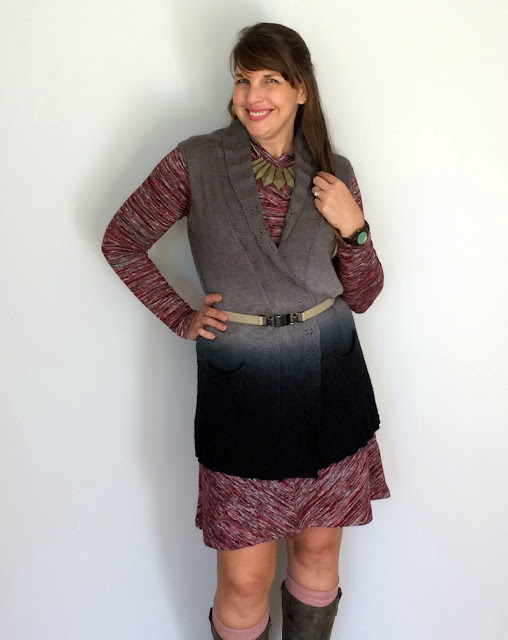 Layer the dress with a denim vest and a faux leather necklace. Belt a sweater vest over the dress and add a statement necklace. Add a similar patterned scarf in a neutral color scheme and large hoop earrings with a pop of turquoise. 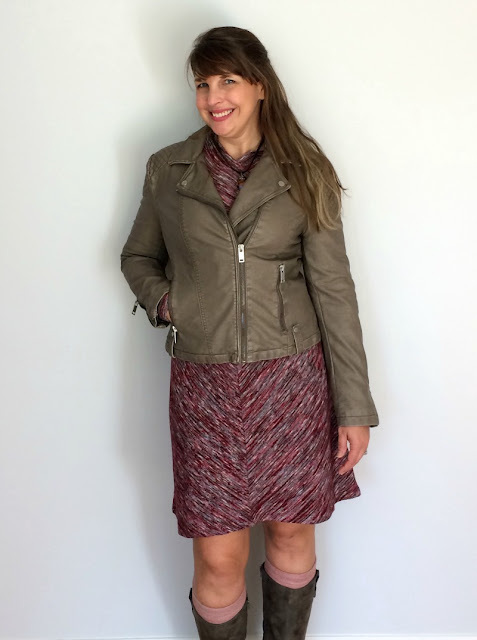 Throw on a leather moto jacket to add an edgy look to the sweater dress. I paired all of these looks with boot socks and tall leather riding boots. Which look is your favorite? 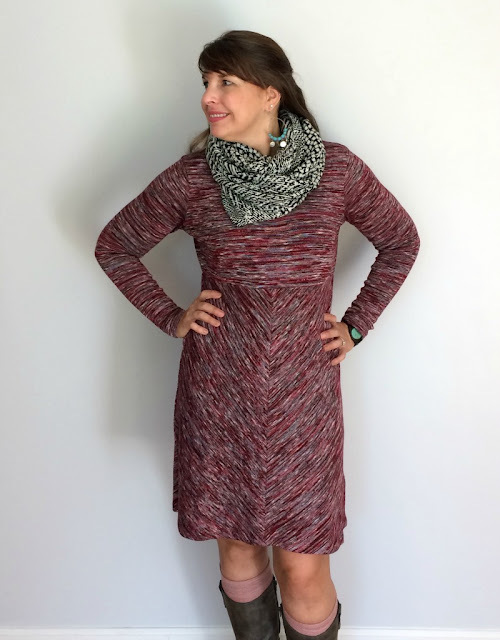 Do you have other ways to style a sweater dress? Pin Me to your Fashion Board! Such stylish looks! 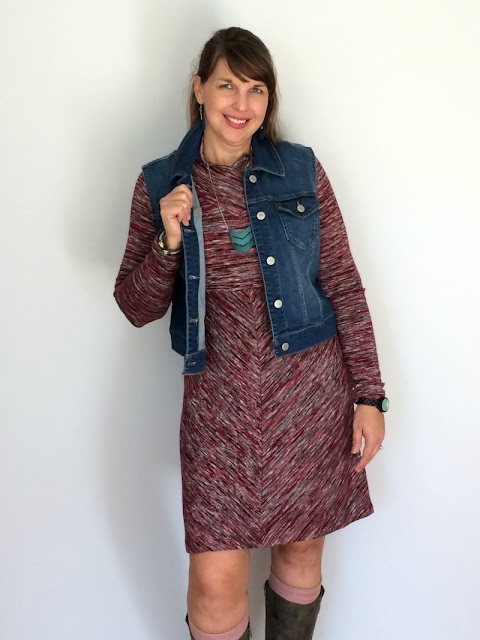 i love all 4 ways you styled the dress! Gorgeous! I love the denim vest and that olive jacket! Great ideas!! Thank you! The denim vest is becoming one of my staples! Thank you and it is so comfy too! My favorite is def the last one! I love that coat and the mix of the two colors. Thanks! I agree! I love the jacket too.